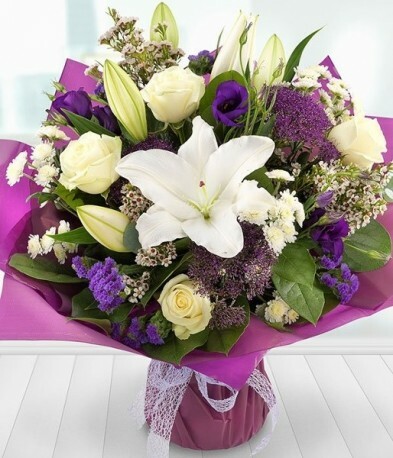 A stunning white lily, white rose and purple lisianthus hand tied bouquet including other seasonal flowers and foliage. Aqua Packed Bouquet in a gift box/bag hand delivered to the recipients home or workplace. Luxury size shown in image.